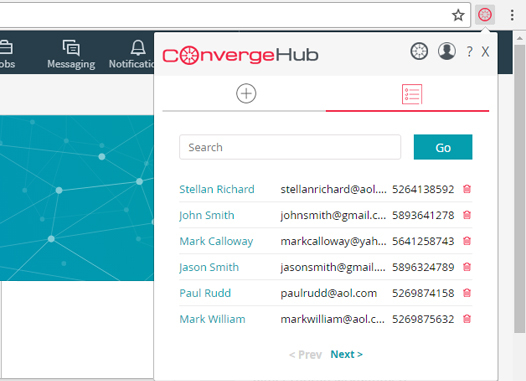 ConvergeHub Lead Generator. Free. Forever. Free forever. Get started in seconds. Visit anyone’s social media page and capture all information instantly with no manual typing. 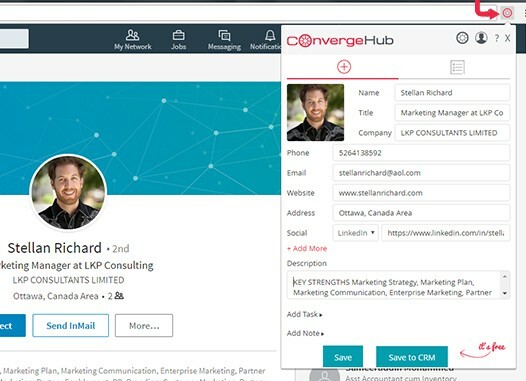 Save qualified leads from social media, other sites and even Gmail with one click of the mouse. Save more information in Notes and create follow up Tasks to get a head start with that lead. 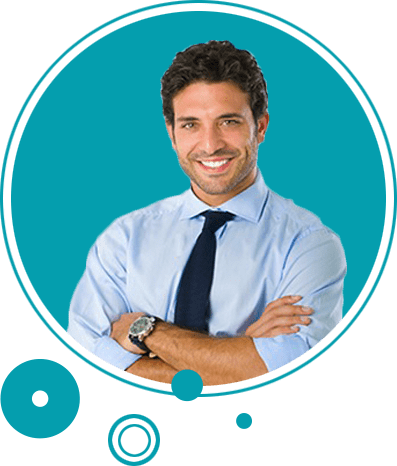 Save captured leads in Lead Generator or save to CRM for FREE for even more sales power. 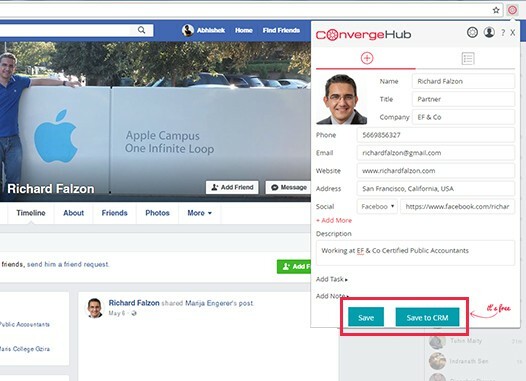 ConvergeHub Lead Generator is the coolest way to capture leads from social media. As soon as I find any lead, all I have to do is hit save and I have it. Did I mention that it is free? 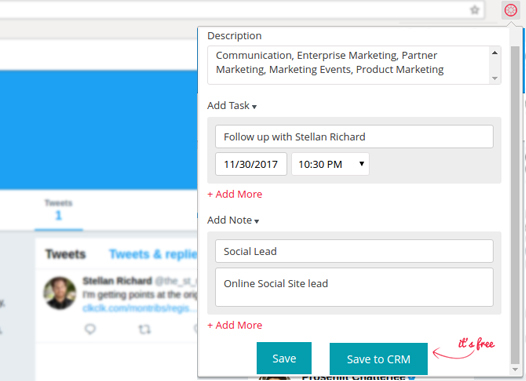 Start capturing qualified leads into your sales funnel in a flash and use the power of CRM to convert them into paying customers – all for FREE. 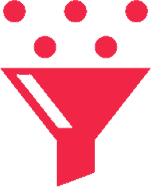 GET STARTED NOW Free forever. Get started in seconds.